The Carleton Place and District Chamber of Commerce is a Member of the Ontario and Canadian Chambers of Commerce. Our members are also members of these Chambers and qualify for special discounts offered to their members. Chambers of Commerce Group Insurance Plan: Whether you’re a solo entrepreneur, home-based business or part of a larger firm, benefits are a very important part of your financial security. The Chambers Plan creates a solid foundation for that security, based on a benefit program designed specifically for small-business owners, just like you. First Data: Preferred rates on the electronic processing of VISA (1.49%) MasterCard (1.49%), Discover (1.60%) and debit cards ($0.05/transaction). 30% off shipments within Canada – 30% off shipments to the U.S. Put logistics to work for you. You can receive these discounts even if you already have a UPS account. It’s free to sign up and there are no minimum shipping requirements. To enroll and start saving, visit membersbenefitprogram.com/CPCC or call 1-800-MEMBERS (1-800-636-2377), M-F, 8 a.m. – 6 p.m. EST. 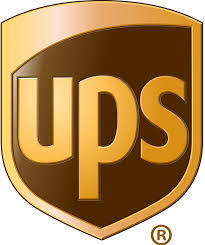 Click here to obtain The UPS Store ‘Get More’ card. 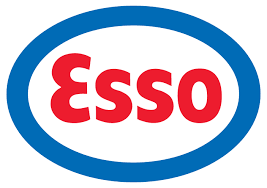 Esso : A fuel discount ($0.035 per litre)—offered to the company and its employees—at all Canadian ESSO-branded service stations. To take advantage of this additional savings click the link to register for your Esso Business Credit Card. Canadian Chamber of Commerce – E Learning Centre: We offer hundreds of courses covering strategy, accounting and finance, management skills and leadership, sales and marketing, human resources, health and safety and Desktop PC topics. Courses are available 24/7 from home or office for small to medium enterprises. Canadian Chamber of Commerce – Export Advice: Whether you’re looking to better understand what it takes to export or for market information and business leads, our in-house trade commissioner is here to field your questions and direct you to the resources you need to go global. All at no cost. Lenovo: Chamber members are eligible to save up to 30% off the everyday public web price of Lenovo’s entire product line. Take advantage of great deals on everything you need for your office and home, including all laptops, tablets, desktops, all-in-ones, workstations, servers, and accessories. This includes savings on top products, such as the award-winning ThinkPad laptops and innovative multimode YOGA tablets. Chamber members also receive free ground shipping on all web orders, monthly limited-time special offers, access to energy-efficient green technologies, and award-winning service and support. Experience the Lenovo difference! For more information and easy ordering, call 1-888-315-7408, ext. 5221 or visit lenovo.com/chambers. Be sure to check the website often – special offers change frequently. Novexco : Chamber members save big with Novexco, the largest Canadian-owned national distributor of Office Products and Workplace Solutions in Canada. Get substantial savings to your business with a regular product list discounted up to 90% and additional online discounts off all other products. No delivery charges and no minimum order, next day delivery to most populated regions, a 30 day ‘no hassle’ return policy. Novexco is keen to provide your business 16,000 stocked product lines, with their simple online ordering system showing your net prices and livestock inventory. Enroll here or contact wayne.mckenna@novexco.co or call 416 707 8951. ICC Bookstore: Save 10% discount from The Canadian Chamber of Commerce’s unique reference tools that will help you connect to the world of international business. International Chamber of Commerce (ICC) publications are essential resources for anyone doing business across borders or around the world. These publications will assist you in dealing with often confusing terms, acronyms, procedures, rules and regulations that play a role in all international transactions today. Magnet: Magnet is a cutting-edge career networking platform that connects employers looking for people with people looking for jobs. Evolve Collaboration : Our integrated conferencing and collaboration services include audio, web and video conferencing solutions with many customizable features designed to meet the specific needs of your business communications. Competitactics – Mystery Shopper Program: Our areas of expertise include customer satisfaction measurement, competitive intelligence, mystery shops, market segmentation and strategic planning. The CG&B Group Inc: As an OCC member, your organization is able to work through The CG&B Group Inc. to purchase Directors and Officers Liability alone or both D&O and Property/Liability insurance. OCC Members benefit from discounted group rates. Collette Vacations: As an OCC member, your organization can earn non-dues revenues with Collette Vacation Travel Affinity Program. Johnson Inc.: Home, auto, travel and pet insurance at discounted rates. Purolator: Purolator offers members discounts starting at 25% on Purolator Express® and Purolator Ground® suite of services. Biddingo: You receive a 15% discount on annual subscription fees for contract bidding services. At only 58 cents a day, this is the best deal offered by Biddingo.com, and is exclusive to chambers of commerce/boards of trade in Ontario. campaigns to lead capture and more.